UKFast is to invest £2.3m in an upgrade of its data centre complex. The enhanced facilities will include a security upgrade of its dedicated colocation space, and the construction of a new high-security, high-density, high-resilience compound within the existing facility. The new facility is equivalent to IL4 security standard and designed in line with List-X standards, primarily to meet the heightened regulation needs of government, financial services, international telecoms and utilities clients. 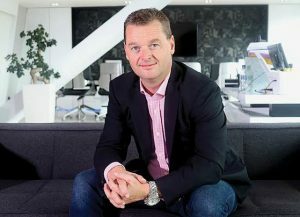 UKFast CEO Lawrence Jones said: “Previously, firms had to collocate their hardware in London if they wanted this level of infrastructure. Right now, UKFast is doing more to future-proof IT infrastructure in the North West than any other provider. The investment follows the announcement in October that will see the firm double its footprint at its current HQ. Jones added: “We have outgrown our space sooner than we’d planned, so we’re investing in our headquarters as well as our data centres.